Shelley Chen's the co-founder of Edvisor. If you have never studied abroad, you probably haven't heard much about the international travel education industry. But in fact the international travel education is a massive industry worth billions of dollars. 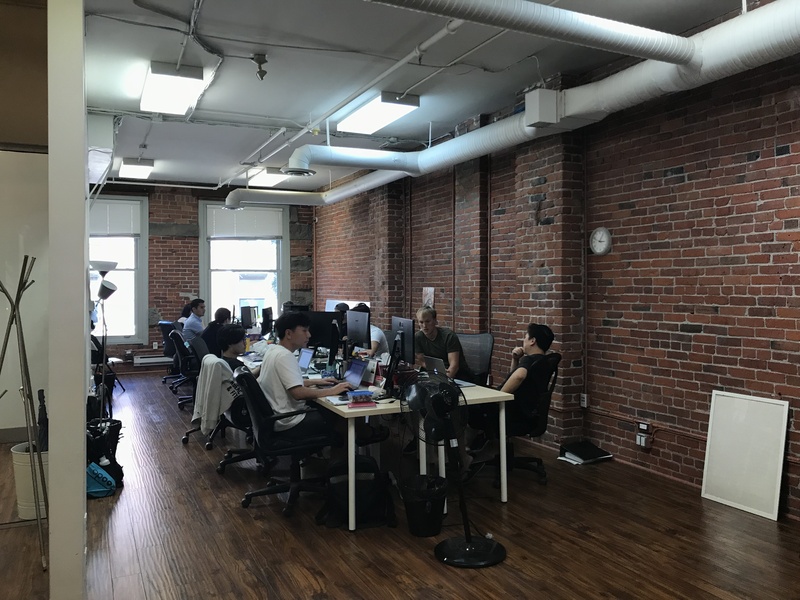 As a young startup company based locally in Vancouver, Edvisor is a disrupting force that's changing the way travel education industry traditionally operates. It is an online platform that connects international schools with education agents. Now, with 600 schools and 2,500 agents onboard, they are growing rapidly and set their goal to expand across the world. In this conversation, Shelly shares with us how she became an entrepreneur right after she graduated from college, her experience going through a tech startup accelerator program in New York as well as her insights on being a female entrepreneur in the tech industry. Kat: What is the problem that Edvisor aim to solve? Shelley: Just as the backstory for context. This is how students find where they would like to study in this industry. If you're from South Korea and you want to study English somewhere in North America. It's hard for you as a student to do the research to figure out where to go when you know the whole point is you don't speak English. So what the student will do is go to an agency in their home country and that agency already have partnerships with a lot of schools all over the world. The agency will send the student a quote based on their partners and those schools offering. The student makes the final choice. The agent will then take care of things like immigration, student visa, flight tickets, and accommodation during their studies. The agent does a lot for the student but there is no software to support what they're doing. But the problem is everything was done manually. The agencies will email the school to ask what's the price right now or is there any promotion. On the school's side, you are getting these e-mails from agencies all over the world that speak different languages. So there's a lot of manual back and forth causing a lot of confusion, requiring a lot of data entry work for both sides. And that's where we come in. We help the agents generate quotes very easily by providing a platform where they can just search all the inventory from the schools that they work with including placing marketing material that gets sent to the student in a beautiful webpage format. And then on the school side we help them process the applications from agencies all over the world so everything is in one place, and they can quickly work with the agents efficiently. Kat: How did you validate your business idea in the early phase? I think a lot of it comes from talking to people in the industry to get a sense of what problems they have. Once we identified the hypothesis and realized this may be the problem, we went to talk to about three to five agencies. I don't think there's value in talking to a ton of them. It's true that sometimes the problem may require you to do a lot of verification. But if the pain is sharp, then by just talking to a few people, you can really get a sense of the issue. Kat: How many schools and agencies are using Edvisor's platform now? Shelly: We have 600 schools and 2,500 agencies from around the world on the platform now. Kat: How did you guys achieve this growth as fast? Shelley: In the beginning when we identified the problem, we worked with a handful of agencies and schools to develop the product. The early customers became our ambassadors and have told other peers in the industry about us. We also go to these annual conferences that happen in different cities across the world every few months. That's where agencies, service providers and schools meet each other. They have these "speed-dating" sessions where you sit down and talk about your products and what offerings to have. These conferences are huge and they could attract thousands of participants. So this has been one of the primary ways we grow. Contrary to most startups, we haven't done any paid advertising and only have done a little on social media. Not applying too much traditional type of marketing strategies. Kat: What was your experience going through the 2015 Techstars startup accelerator program in New York? Shelly: Yeah, So fantastic. At at that time we had just started the company a couple months ago and we weren't sure what we were doing or what the next steps would be. We know the industry really well but not on the business side of things. Going to New York was super super helpful. Techstars has this massive network of people that we can talk to. Also we were in a cohort of 12 companies. With all these companies around you, we could all help each other out since everybody has more or less the same type of growing pains in the beginning, trying to figure things out. It's really nice to be an environment where we had a shared office and meeting up every day. We also had our meetings every Friday with the industry experts who gave us advice on all sorts of different aspects on kicking start a company. Kat: When did you have the aha moment in which you realized that you are going to give this a try and you are going to be an entrepreneur for a tech company which is extremely exciting but also really risky for for someone who's in their early 20s? Shelley: I actually disagree with that. When I first met my co-founders, I was still in school. I had worked with them on some of their projects. After I graduated, obviously we still know intimately well we work together very well. That's when we started tinkering with the business together. For me at that time, I thought about finding a really stable job or trying to start a business. Then I realized that this was probably the least risky time for me to do that, because as I get older, I'd want more stability in my life and will be less likely to just be able to pack up and move to New York for a few months. What if I have children or a family then I have to be where I need to be, and that might not be up to you to make the call. When you have other obligations, it's harder for you to make that decision. So when I'm in my 20s with no obligations and just graduated, I can do anything really. Edvisor' is disrupting the way traditional travel education industry operates by connecting education agents with schools over its first-of-kind platform. Kat: What have been the greatest challenges that you have faced so far and how do you deal with them? Shelly: I think for me personally it was kind of forcing myself to continue to grow and make sure I'm aware of all the things that might be missing or the things I'm not good at. For example one thing for me is I've never worked at a huge company where people tell me what's the best thing to do or how things are set up. My co-founders haven't had much work experience either. At the time when we started, for us it was learning along the way. We're working on the business but also hiring people. Sometimes it's hard to find the focus because all the roles we are playing. So that's been a challenge for me. I've been a doer my whole life. But I grew to realize that doing everything by myself is not scalable. What's actually valuable is for me to work on the business and letting the incredibly talented and smart people on our team to work on the product and design because that's what they're here to do and that's what they're good at. Whereas I should take a step back and actually work on how to develop the team, how to make sure they're doing their best work and transition to the next step. Kat: What has been your experience working as a female entrepreneur in tech? Shelley: I think I've actually been extremely lucky. Both of my co-founders are very aware of all the issues and obstacles, and potential harassment that could be facing women in tech. So they've been very supportive and always watch out for me. But obviously I feel like if you're a woman in tech, you come across people who don't mean to be rude to you but comes off as a certain way. I remember at Techstars, my desk was fairly close to the door and we would be the first company you see when you walk in the door. Everybody who walks in the door looking for us immediately assumes that I'm the receptionist. I told them that if you are looking for our company's co-founders, I'm one of them. They don't mean that, it felt natural to them and they didn't consider how they came across. I think those small situations are unfortunate. But then I've also learned to not be offended by them. I have the opportunity to educate them and then I move on. For me, I want to position myself where what some people think of me doesn't really affect me. I know my work, my team and my business are sound, so even if someone is being disrespectful, I won't be affected. There will always be these kind of things happening. It's a bigger problem that will take a longer time for people to understand and adjust. But at this moment, you can choose not to let it affect you and just march forward and get what you want. ðŸ¥�What do you think is the most important skill in building a business? For growing a business, being a people person and being aware of how to get the best out of people and motivate them is the most important skill. As a company's founder, you've got to sell your idea like an entrepreneur, and you're always selling to your customers, to people that you hire. ðŸ”­ What's your advice for someone who wants to start their own business? In the beginning, it's to nail down the problem, know what problem you are solving and how big of a problem it actually is. Whether if it's really a problem that people can live without. After identifying a strong problem that you can solve, then you need to figure out who your customers are. You don't need a lot to figure that out. Then later on, you can decide if you need funding or a bigger team. Having the initial problem statement figured out will move everything along. Whether you are doing it as a side-project or you are quitting your job and doing this full-time, it all starts with do people actually need what you are sell. That's been fundamental for us. ðŸ“šKat: Could you share with us your role models or any useful resources from which you draw inspirations and helpful insights? We've been working on finding a framework that helps us scale the company. John Doerr is the guy who started the school OKR, which stands for Objective Key Results. It's a framework to align the whole company in terms of goals, priorities, and keeping teams motivated while pushing for the same objective. Everyone on the team has been reading this book. It really helps me to put everything in perspective, seeing gaps on the team and where I could contribute more to help people become more aligned with the company goal. You can find more about Edvisor on their website or follow them on Twitter and Facebook. You can also follow Shelly on LinkedIn.